Students should apply for an X visa (study visa) in your home country. In order to do this students will need to go to the Chinese embassy in your country with your admissions letter, and the Visa Application Form (also known as the JW202 form). The time-length varies according to the embassy and region but it is better to apply early. 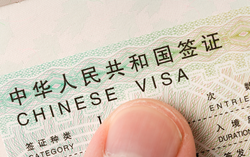 Please note that it is no longer possible for students to come to Beijing on a tourist visa (L visa) and then convert this into a study (x) visa when in Beijing. Students should apply for an X study visa in their home country. If you have any questions about the visa process or applying for the visa contact us and we will assist you.